Changsha is one of China&apos;s great inland metropolises, and it is now opening up for tourism. It is interesting for tourists because it is less touristy, more authenticly Chinese, and prices are lower than in the better known tourist locals. 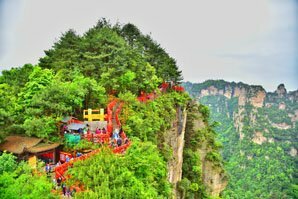 Tourists might also want to stop there on their way to or from the Zhangjiajie/Wulingyuan scenic area that is only four hours away by bus. These four most popular tourist attractions are all within about 7 miles or 11 kilometers of each other in the center of the city. This makes visiting all these places easy while staying in Changsha. The highlights are the little Chinese shops that give economical prices and a wide selection and the little restaurants and snack stands along it. The lively and friendly atmosphere on the two kilometer street provides an interesting place to shop, and you can save money compared to the more touristy cities. This street is the region&apos;s favorite shopping and dining pedestrian street. 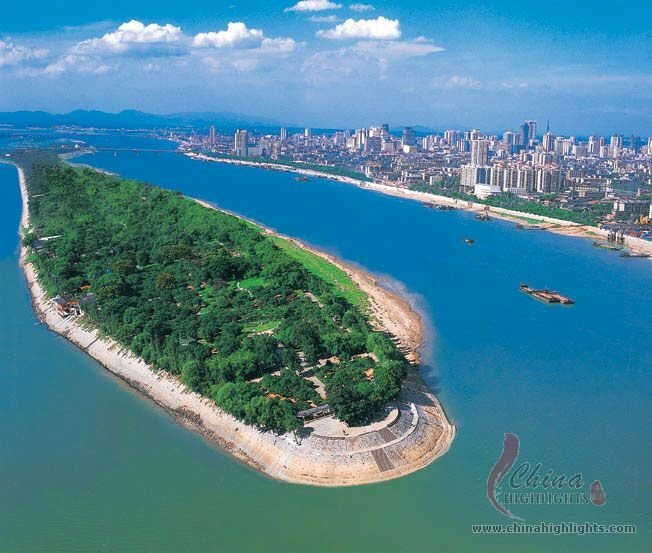 Orange Island (橘子洲, Júzǐzhōu): This narrow island and park is in the middle of Changsha in the Xiangjiang River, and it is probably the second most popular attraction for tourists after Mount Yuelu. There are gardens and thousands of fruit trees, frequent grand firework displays in the evening, and a big statue of Mao&apos;s head. Mount Yuelu Park: You can get good exercise and walk for an hour up the hill and see both nature and the city skyline in Changsha&apos;s most popular park. Yuelu Academy was one of the first four "universities" in China. It was built in 976. A highlight of the park is a museum about education that teaches people about the historic academy, Hunan University, and China&apos;s modern educational system and goals. 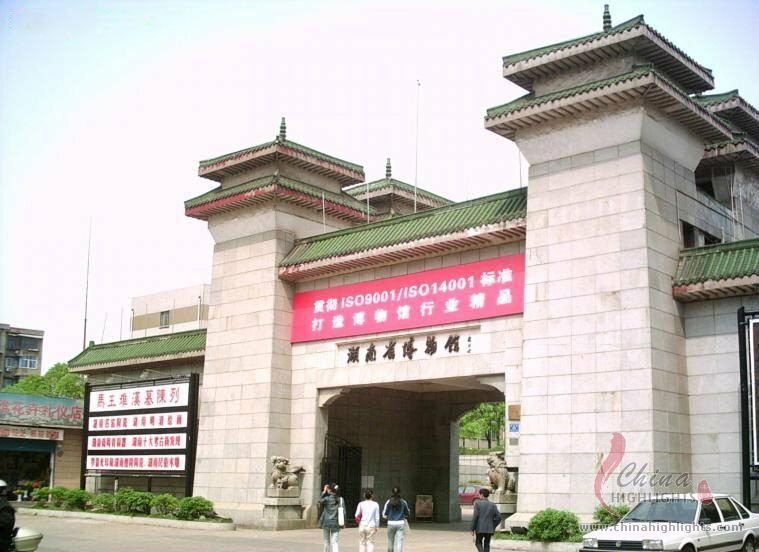 Hunan Provincial Museum: One of foreign tourists&apos; most popular highlights is this large museum. Among the thousands of well-preserved artifacts on display from various eras are those from a 2,000 year old Han-era tomb. Changsha has a subtropical, but moderately humid, climate. It freezes in winter and is hot in summer. The city is considered one of the 10 or so "furnace cities" of China. Especially the inner city swelters in humid heat, and temperatures may rise above 40 °C (104 °F). See the Changsha weather forecast. Instead of visiting in sweltering summer, or winter when it is cold, April, September, and October are the best months to visit Changsha in terms of weather, scenery, and air quality. April is one of the best months for visiting Changsha because flowers bloom profusely at the two big parks. Changsha is an industrial city, but paradoxically, the air quality is unusually good for a Chinese city. The river wind is what keeps pollution low in the city. Visitors can enjoy blue skies and clean air at the big parks along the Xiangjiang River. In December and January coal is burned, so if you have asthma or other ailments, it might be best to avoid the city these months. Huangxing Street has a wide variety of inexpensive, tasty, and authentic snacks. The street is known for its stinky tofu, octopus legs, and peanut snacks. 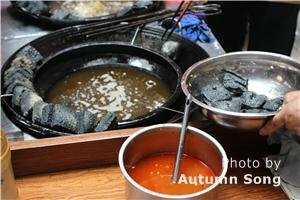 A lot of the local food is spicy and hot. Restaurant dining: For a posh, comfortable, and modern environment for moderately priced buffets, you could go to the Sheraton Hotel&apos;s International Feast buffet. There are three major shopping areas that most interest tourists. The premier area for foreign tourists is the Wuyi Road, Huangxing Road, and Zhongshan Road axis in the northern part of Changsha. These streets connect, and the area is close to the scenic river. 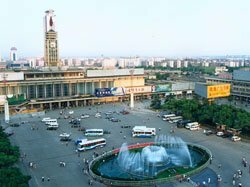 Changsha is an inland transportation hub, so it&apos;s very accessible by bullet trains, regular passenger trains, and a major domestic airport. Trains: The main train station serving regular trains and some bullet trains is Changsha Railway Station (长沙站) about three miles east of Orange Island. Metro Line 2 connects it with Changsha South Railway Station (长沙南站), serving bullet trains to Shenzhen, Beijing, and the east coast pass . Changsha Huanghua International Airport (CSX) is the largest and best-equipped airport in Hunan Province, 25 kilometers (16 miles) east of the city center. There are three long distance bus stations: East Station, West Station, and South Station. West Station has buses for Zhangjiajie, and South Station for Guilin. 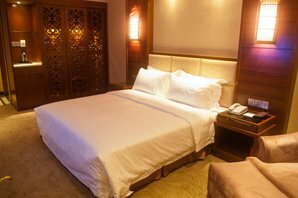 Read more about Changsha transportation. 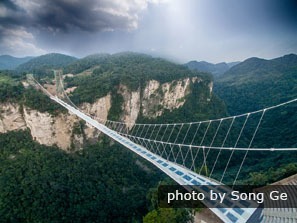 Zhangjiajie is 320 km northwest of Changsha (4 hours, 100 RMB by bus), and is known for the precipitous pillars of its National Forest Park. The popular ancient town of Fenghuang is peaceful and scenic. 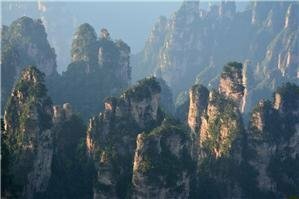 7-Day Hunan Tour: Visit Changsha, Fenghuang, Wulingyuan and Mao&apos;s hometown.